Featuring a geometric silhouette with bold, architectural lines, this Stance valve trim is a striking, functional accent for modern bath decor. The sleek lever handle provides easy operation in the shower. Pair this trim with a MasterShower(R) volume control valve for precise water flow. 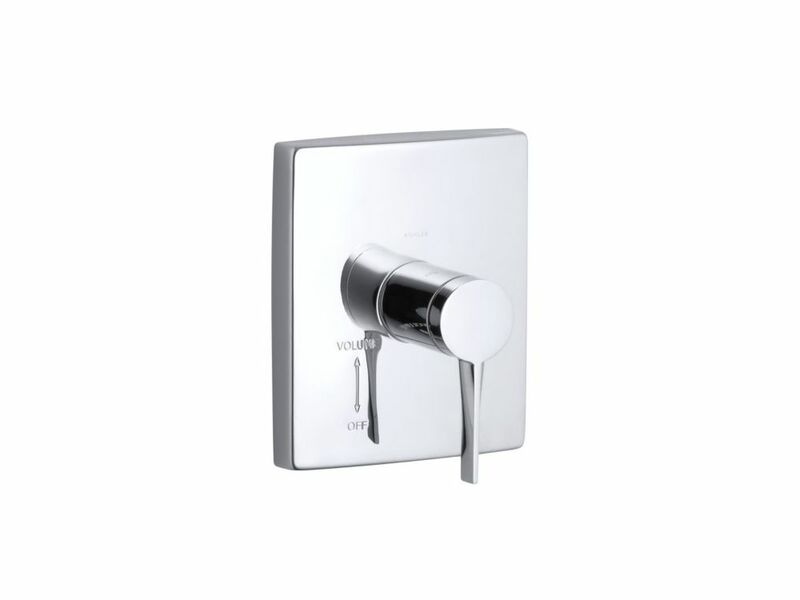 Stance Volume Control Valve Trim, Polished Chrome Featuring a geometric silhouette with bold, architectural lines, this Stance valve trim is a striking, functional accent for modern bath decor. The sleek lever handle provides easy operation in the shower. Pair this trim with a MasterShower(R) volume control valve for precise water flow.